When flying private, the ability to track a private plane will vary depending on location and routing of the flight, the type of private flight filed by the pilots, and whether or not the aircraft tail number is blocked from tracking by the owner/operator of the plane. There are additional variables that will play into the accuracy level of the tracking, which is mainly based on which technology is available in the geographical area of the trip. While we have no control over technology in certain locations, weather, or airport delays, the Air Charter Advisors will make the best efforts to inform your loved ones, business associates, and ground transportation providers when you are expected to have any delays or expected to arrive early. How are Private Planes Tracked? There are dozens of government and private sources of data including the air traffic control and the private networks of ADS-B and Mode S receivers that track ADS-B or aircraft equipped with Mode S that will help us to keep you up to date of aircraft movements and positioning. Please note that most of these Private Flight Tracking technologies are within the USA – many other countries throughout the globe do not currently allow these types of networks and therefore tracking aircraft outside the USA is a much more difficult task, and in many cases not possible. 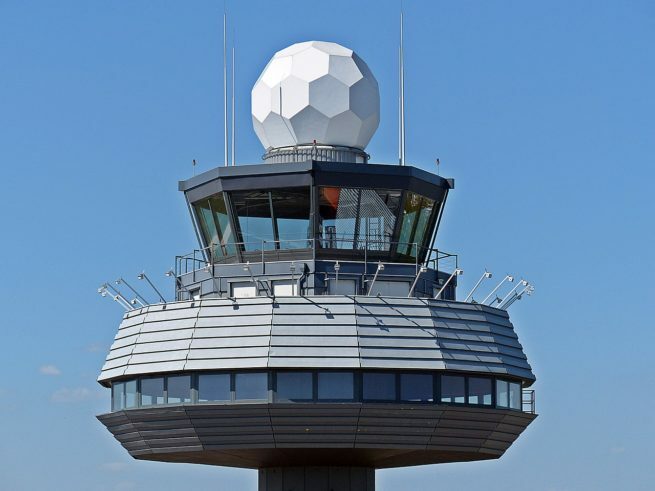 Automatic Dependent Surveillance – Broadcast which in aviation is known as “ADS-B” is essentially airplanes that are furnished with a technology to emit their location. Mode S equipped airplanes can be followed via multilateration (MLAT) when the signal is received by three or more receivers. These signal receivers are positioned at airports around the world and act as a network to connect the dots. One of our future goals will be to develop Private Flight Tracker which will allow our clients to locate charter planes as they fly. In the meantime, if you are interested in locating a private jet, visit FlightAware and follow the instructions below with the aircraft tail number. You can also set up automatic notifications to be sent directly to your inbox or cell for departures, arrivals, delays, cancellations, and diversions. 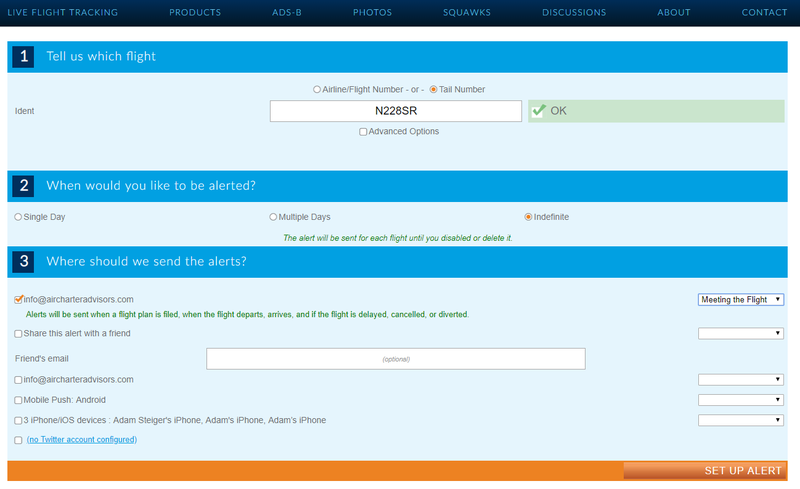 Automatic notifications require creating an account, and is a free service offered by FlightAware. Please do note that not all planes can be tracked, and in many cases the data provided is not accurate and may have a delay of up to 15 minutes. Aircraft registration is public information in the USA, making it easy to find a locate and track a US-registered plane by it’s tail number, and find out who owns it. For this reason, many HNWI and corporations choose to register their aircraft offshore in locations like Aruba (P4), Bermuda (VP or VQ), Cayman Islands (VP), Isle of Man (M) and San Marino (T7). Even if it’s registered in the United States, you might not be able to track the plane if the operators or owner of the aircraft disables tracking for privacy purposes. There’s also new European data regulations that prohibit flight following on certain aircraft. McDonald’s corporate jet is a Bombardier Global 6000 given the tail number N1955M for the year it’s first franchise opened, and is blocked from tracking per European data rules. If you are unsure how to track a particular flight, or find yourself having trouble tracking an airplane, don’t hesitate to contact us – we are here to help!